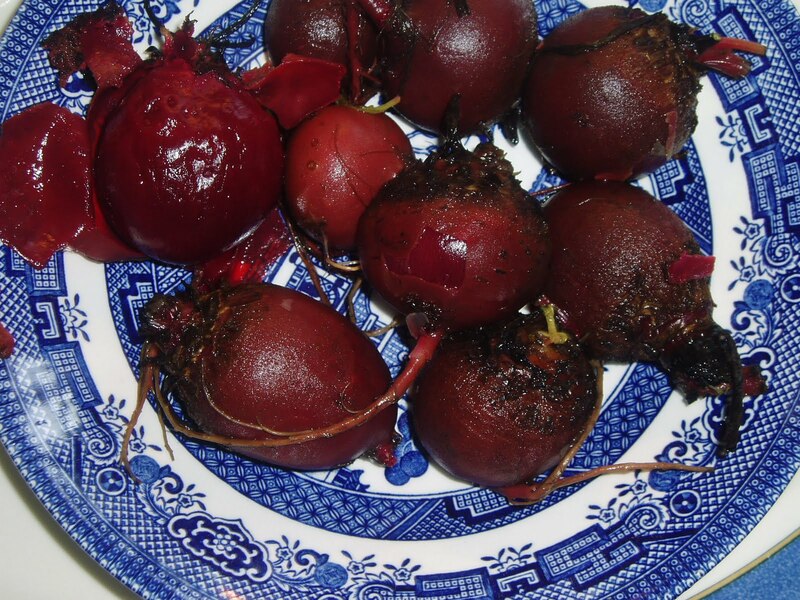 The beets grew beautifully this year. They seem to thrive in the heat (unlike so many other things). As I was slipping the peels off , I had a sudden memory of helping my grandmother, Emma, at her kitchen sink. I must have been 7 or 8 years old. My job was to remove the skins from the beets. After boiling them until just tender the skins slip off very easily. As I was doing this, I could hear my grandmother Carroll's sweet chuckle, and see the big old sink filled with beets. The memory is such a amazing store of sights, sounds, smells, and textures. Lovely. 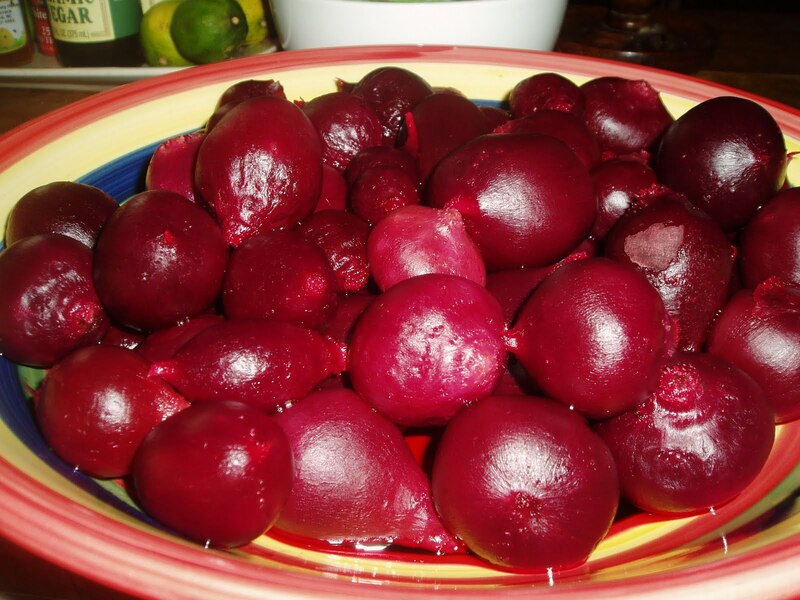 Here are photos of the beets: Just after cooking, just peeled, and then after canning the lovely sweet pickled beets. 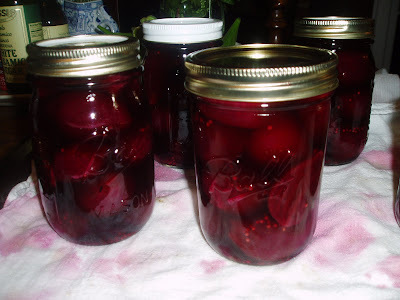 I used 5 spice powder instead of pickling spice this year, and think it is better. More cloves, and allspice...and cardamon I think. I will serve these at Thanksgiving and Christmas. Summer in a jar. These look yummy. *Jewels* in a jar! Your produce is so beautiful.